Synopsis: Vampire hunter Van Helsing returns to Transylvania to destroy handsome bloodsucker Baron Meinster, who has designs on beautiful young schoolteacher Marianne. 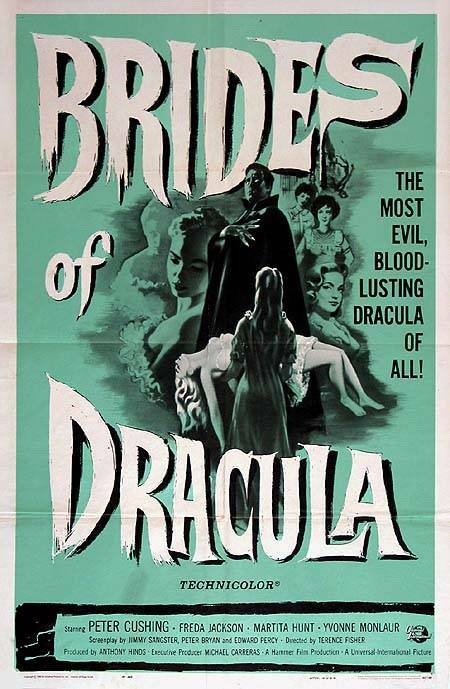 My Quick Review: The Brides of Dracula is the second in the series of Dracula films produced by Hammer from the late 50s to the early 70s. It’s also the only one not to have Dracula appear in the movie (the title is really misleading). Like most of the Hammer productions, Brides of Dracula makes the best use of colors and lightning and the sets are impressive. The acting is superb in this one as well, even if Christopher Lee’s presence is still greatly missed. The story is quite unoriginal though and,despite a short running time, the pace towards the more exiting end of the movie is frankly too slow. It’s always hard to watch those classic horror movies back nowadays. We have been spoiled by so many great entries in the genre that, compared to a 60’s audience, it’s difficult not to wish for more to happen. With that being said, contemporary filmmakers could take a lesson or two in set designs and overall direction. 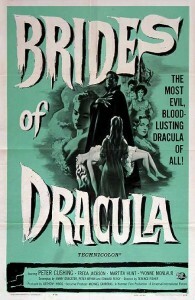 Unfortunately I can only recommend Brides of Dracula to fans of old school hammer productions.